An attractive, lower-cost alternative to site-built homes, factory-constructed housing is becoming increasingly popular. New, more sophisticated methods of construction and strict federal, state, and local codes have resulted in safer, more attractive, and more affordable homes. Written by a specialist with over 20 years of experience in the field, Factory-Constructed Housing Developments: Planning, Design, and Construction fills the gaps in existing literature on the subject. Although some information on the design of small subdivisions and manufactured home communities can be found scattered throughout various government documents, until now there has been no single guide to the creation of new developments. 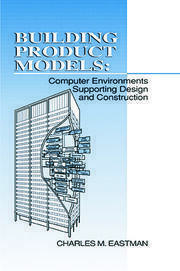 This reference assembles and cites the existing literature, and adds to it useful information from the author's two decades of practical field experience. This one-stop reference explains the planning, development, and construction processes for factory-constructed housing, including everything from the roles of municipal boards, to roads and development configurations, to water and sewerage. 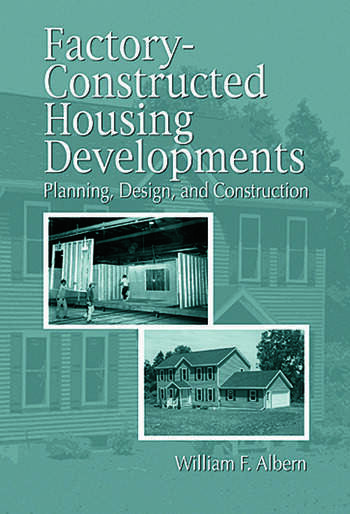 The book also considers factors unique to manufactured home communities and modular home subdivisions. No other single volume contains the information in this book. What is a Factory-Constructed House?